These are ballpark specs only. We do not accept any liability if you choose to run these specs, however we have safely used them on a number of bikes. All years: Run a TSP head for more power everywhere over stock and less risk of detonation. See SHOP for prices and details. Our heads perform better and cost less than anything else on the market. TE models have a 36mm carb. This can be oval bored for more mid/top. The cylinder casting is rough and needs tidying up. We can either do a basic clean up of the cylinder or we can change the ports for more mid/top power. See SHOP for prices and details. Stock system is fine for trail riding. We can get a lot more power from these engines by doing advanced porting and head setup only, still keeping the stock exhaust system. For more serious racers we suggest an HGS, DEP, or FMF. All of these add extra top end power. The stock silencer is absolutely fine for all levels of racing. TE models have a softer ignition curve. Fitting a TC or SX CDI is a good choice for more power everywhere. Run 30:1 for A grade MX and 40:1 for trail riding. Normal 98 unleaded is fine for a stock engine and for our modified engines. Race fuels wont add extra power to a good engine setup, but they will be more consistent in quality. They may add extra power to a badly setup engine. The TE 125 engine up to 2015 is very strong and responds very well to some sensible mods. The overall cylinder design is good but there are lots of casting issues that can be cleaned up to improve power everywhere. Also, careful powervalve setup is critical to getting the most from this engine. 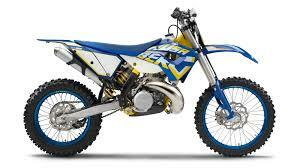 The TE model shares the same basic engine as the KTM125SX but with a softer ignition curve and smaller 36mm carb. This engine hardly changed from ~2000 onwards. They are generally very reliable for a 125 and respond extremely well to simple work although they will never make the same power as the newer models. These are ballpark specs only, for stock or lightly modified bikes. We do not accept any liability if you choose to run these specs. Run a TSP head for more power everywhere over stock and less risk of detonation. See SHOP for prices and details. Our heads perform better and cost less than anything else on the market. Carb oval boring adds extra mid/top end performance. See SHOP for prices and details. Dont bother for trail riding. For racers we can get a lot more mid/top power with correct porting. See SHOP for prices and details. 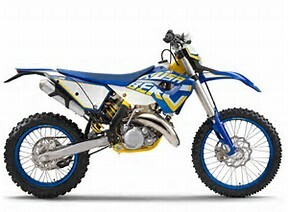 Stock system is fine for trail riding and most forms of offroad racing. For more serious racers we suggest an HGS, DEP, or FMF. All of these add extra top end power. The stock silencer is absolutely fine for all levels of racing. If you want more power spend your money on head setup first and rejetting first… its much better value for money. The stock ignition curve is a bit soft. Our ignition mod adds ignition advance across the board and gives more power everywhere (suitable for electric start models only). Top end: Every 80 hours for trail riding. Every 60-70 hours for offroad racing. NOTE: it is very common to get dust through these engines even if you are careful with your filters. This can reduce engine life dramatically… we see lots of bikes with less than 50-100 hours needing full rebuilds. Run 40:1 or 50:1. Normal 98 unleaded is fine for a stock engine and for our modified engines. You can do all these mods at once or add one at a time. For the TE models we suggest setting up the head at a minimum. We do a package of mods which is very popular and completely transforms the 250 engine… these mods include head setup, ignition mod and a carb oval bore. This is the best value setup you will find anywhere for this engine and makes it pull way harder from idle all the way to redline without sacrificing reliability. For the TE models we suggest setting up the head at a minimum. We do a package of mods which is very popular and completely transforms the 300 engine… these mods include head setup, ignition mod and a carb oval bore. This is the best value setup you will find anywhere for this engine and makes it pull way harder from idle all the way to redline without sacrificing reliability.